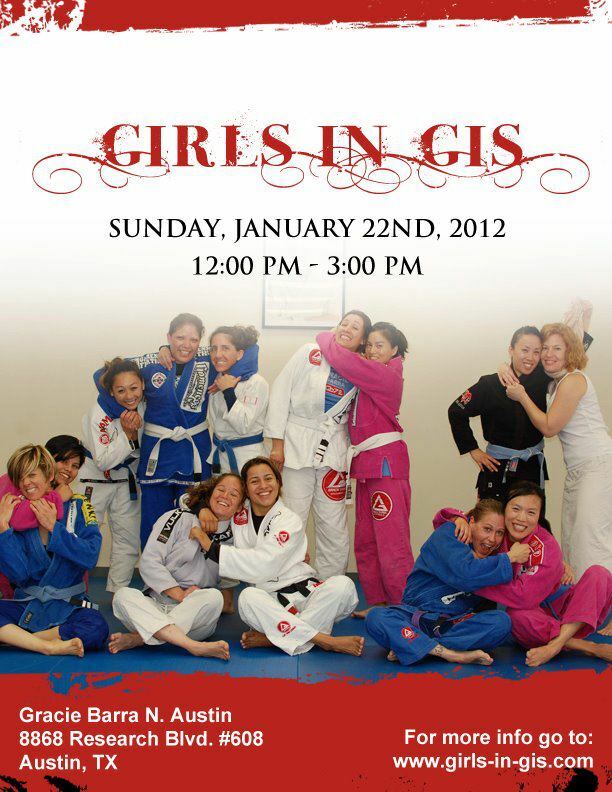 Tarzana, CA-Located in the heart of the San Fernando Valley in unassuming industrial strip lies a Jiu-Jitsu Academy led by one of the famous Machado brothers, Jean Jacques Machado a sixth degree black belt. When you first enter the academy, a young man named Gustavo welcomes you into the academy as if you were an old friend who has come by to visit. You are then taken to the back for a tour of the mats, when you enter the matted area you expect to hear the grunts and groans of people putting their art to work. Instead, I was surprised to hear one voice, a voice with a distinct Brazilian accent giving detailed and precise instruction to his students. The students sat their with their eyes and ears wide open listening and watching his every move, like children being told a story around a camp fire and anxiously awaiting to hear how the story unfolds. If you have always wanted to learn from the legend himself, but you don’t live in the same city, state or even country as his academy; not to [social][/social][einset][/einset]worry because you can now become one of the thousands of people who have become part of his Jean Jacques Machado Online Training Center. Just as he was a pioneer in bringing Jiu-Jitsu to America on February 24, 2006, he became one of the first to bring Jiu-Jitsu to the masses via the World Wide Web. By collaborating with Jay and Mike Zeballos two of his students, they developed the online training center that allows people to browse through [bjj][/bjj]over 1,000 video lessons. The best thing is if you have a question about something you saw in their video library or about a particular position, submission or escape, you can post the question on the community forum and Jean Jacques himself will answer your question via video. In the video, he will address your question and breakdown every single aspect of your question. Through his Online Training Center he is able to reach people he may have never had the chance to teach, he has students all across the world, from America all the way to Singapore. This has allowed him to fulfill one of his dreams, sharing his knowledge of Jiu-Jitsu with the world. Jean Jacques Machado was born in Rio de Janiero, Brazil; he is the fourth youngest member of the Machado family. The oldest is Carlos then Roger, Rigan, Jean Jacques and the youngest is John Machado. Jean Jacques was born with Amniotic Band Syndrome. Amniotic Band Syndrome (ABS) is a set of congenital birth defects believed to be caused by entrapment of fetal parts in fibrous amniotic bands while in utero. In Jean Jacques’ case, this meant he was born with his left hand only having a thumb and a pinky finger. As a young boy, Jean Jacques’ parents took him to see a specialist that could help with the growth of the bones in his left hand to help make a finger. At that time there was a study to do a procedure in which the bones in his left hand would be stretched out. But this would not be an over night solution, as the doctors would have had to repeat the procedure on him for a couple of years before seeing any kind of results. Jean Jacques’ told his parents he did not want the procedure that he was already doing everything he liked in life and did not need to go through that, his parents supported his decision and opted not to do the procedure. He never let ABS dictate his life or stop him from accomplishing his dreams, he did not use it as an excuse, he used as motivation. He developed a strong mind and a strong will to overcome with the love and encouragement given to him by his parents Carlos and Luiza Machado. Growing up with his four brothers made it easy for him to face the world, not having to worry about his hand. Jean Jacques’ outlook on life and the way he presents himself has carried over to how people view him and his accomplishments. “Somebody told me that I am not a handicap but that I am a champion. I am a Champion that happens to be a handicap.” says Jean Jacques Machado. That same mentality to rise above and to never stop pushing is something that his uncle Carlos Gracie saw in him when he was 1-year old, as he told Jean Jacques’ mother, “One Day He Will Be Champion!“ A Champion indeed he became on and off the mats as he has become a story of inspiration for many people around the world. He has shown people to never give up on your dreams no matter what life throws your way. In 1999 after many years of donning and competing with the gi, Jean Jacques would go on to compete in his first no gi submission grappling tournament. He was invited to compete in the second installment of the Abu Dhabi Combat Club Submission Wrestling Championships. This would be another big opportunity for Jean Jacques to prove his grappling skills and knowledge. Competing without the gi was not going to be a big daunting task for Jean Jacques, who had already adapted his game not to rely on the grips of the gi, but to use more of his legs and leverage to compensate for his left hand. Jean Jacques would go on to compete in the under 77 kg division where he submitted all four of his opponents to win his division. This great accomplishment would earn him the Most Technical Fighter Award that year. Two of those four opponents were two of Japan’s toughest and most successful grapplers in Hayato Sakurai and Caol Uno both were Shooto fighter at the time. In his semifinal match, he faced the always-tough Hayato Sakurai, who at the time was the undefeated Shooto Middleweight Champion. The match had a ten-minute time limit, with points not being counted the first five minutes of the match. This allowed Jean Jacques to really open his game, pressure his opponent and go for the submission without having to worry about points. The strategy worked as he submitted Sakurai via rear naked choke within the first five minutes of the match. In the finals, he ended up facing Caol Uno who was already a very accomplished mixed martial artist in Japan. In no other match was it more prevalent that his game plan was to put pressure and submit his opponent more so than in his final match against Uno. You could see it in his opponent’s eyes that he was not expecting such an aggressive and tactical attack. Being that it was the final match it had a twenty-minute time limit, but Jean Jacques only needed five minutes to submit Uno via rear naked choke, the same choke he used to submit all his previous opponents. While I was conducting this interview, I had the pleasure of meeting Caol Uno, who was at the Jean Jacques Machado Academy to take a class and learn some techniques from the legend himself. I was able to chat with Mr. Uno through his interpreter Gan Dnisono about what he remembered the most of his match with Jean Jacques. “At the very last moment of my fight, he finished with his arm, with his hand, which has only a short finger, he is very good at using this part of his body and he finished it with his handicapped arm, so I was very shocked,” said Uno. When you enter the academy, there is a wall that displays a lifetime of achievements. It is not the trophies or medals that bring a smile or pride to this gentle Brazilian Jiu-Jitsu Legend; it is every student that has walked and continues to walk into his academy and knowing that he has helped change and influence their lives with Jiu-Jitsu. Those are the greatest accomplishments and truly life fulfilling joys for a man who has reached the pinnacle of the grappling world. “I have my own way to guide my students, more importantly to be a good person and I think everybody agrees with me. It’s not like the mean face means anything, the mean face just means that maybe you are hungry or you are mad at yourself, you don’t need to make a mean face to show that you are good in Jiu-Jitsu. To be polite is the most important thing,” says Jean Jacques. Those are not just words that he uses to explain the way he teaches, but it is his philosophy that he lives by, to be able to reach out to people through Jiu-Jitsu and change their lives and make them better people not just better athletes. This is something that you can see from the first moment you meet this humble man off the mats and also on the mats in the way he teaches and treats every single one of his students. Jay Zeballos a 1st Degree Black Belt under Jean Jacques not only views Jean Jacques as his teacher but also as someone to look up to because he is someone in whom you can find inspiration. 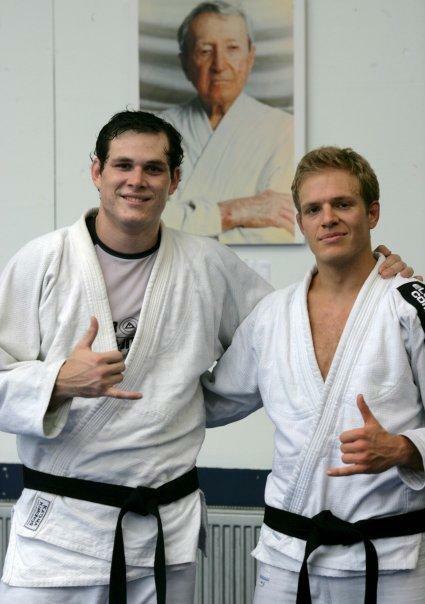 “I am fond of telling people that he is not only my Jiu-Jitsu instructor, but my life coach as well. He sincerely believes in all his students, and you cannot ask for greater motivation to succeed than that,” says Jay. The belief that he has in his students inspires them to become that much better. But he also reminds them that with becoming better and stronger, you must never forget to be humble, as you never know when you might end up being the one tapped. Jean Jacques is teacher who is not afraid to put his ego to one side and put himself in precarious positions to help his students with new moves or positions they are working on. He is not afraid to become the guinea pig for his students, so that they can work and improve their game. He will sit down with them and go over every single detail of what worked and what did not work. Nobody probably knows that better than one of his most recognized and world-renowned students, Eddie Bravo, who is the creator of the rubber guard. As Eddie himself will tell you, he did not develop the rubber guard all on his own, he had the help and inspiration of his master, Jean Jacques Machado. “The greatest thing about Jean Jacques is his open mind, a lot of Brazilians don’t have open minds like Jean Jacques. He was very involved in creating my style of Jiu-Jitsu. Anytime I hit a roadblock I always knew I could ask Jean Jacques how to solve this problem, he always had the answer to solving the problems, so I could continue evolving the rubber guard and twister. My style definitely has Jean Jacques’ fingerprints all over it,” says Eddie Bravo. His teaching has inspired many of his students to open their own academies and continue spreading the knowledge and passion for Brazilian Jiu-Jitsu that their master has passed onto them. Right now Jean Jacques has twelve affiliates schools located across the globe, you can travel up north to Canada or go down under to Australia and find a Jean Jacques Machado affiliate school, that will teach you Jiu-Jitsu with the same passion, dedication and love as the legend himself.